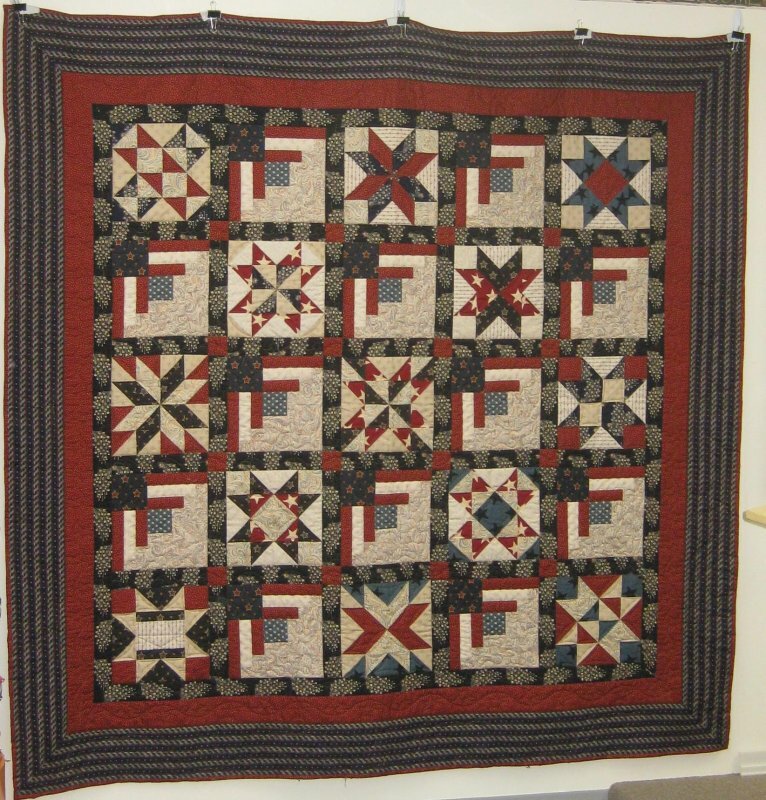 This quilt was inspired by the "Hurrah" collection by Jo Morton. It was assembled by staff at The Quilted Crow and quilted by Judy Clare. It was also the Quilted Crow's 2011 Shop Hop quilt. Measures approximately 80"x80".